[Registration Closed] 74th Breakfast Meeting – New Vision for 2019 (January 11, 2019) - Health and Global Policy Institue（HGPI） The global health policy think tank. 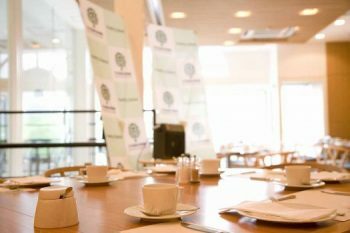 Health and Policy Institute (HGPI) will host a Breakfast Meeting featuring Dr. Kiyoshi Kurokawa, HGPI Chairman, who will present his new vision for 2019. His annual New Year Vision event is one of HGPI’s most popular breakfast meetings. We look forward to your participation. Dr. Kiyoshi Kurokawa is a professor emeritus at the National Graduate Institute for Policy Studies (GRIPS), Member of World Dementia Council (WDC), International Scientific Advisory Committee (ISAC), and Harvard T.H. Chan School of Public Health, John B. Little (JBL) Center for Radiation Sciences. After graduating the University of Tokyo Faculty of Medicine, he served as a professor at School of Medicine of UCLA (1979-1984), University of Tokyo (1989- 1996), the dean of Tokai University School of Medicine (1996-2002), the president of Science Council of Japan (2003-2006), the science advisor to the Prime Minister (2006-2008), World Health Organization (WHO) commissioner (2005-2009), Chair and Representative Director of Global Health Innovative Technology (GHIT: 2013.1-2018.6) and the executive member of many other national and international professional societies. He was also the chairman of Fukushima Nuclear Accident Independent Investigation Commission by the National Diet of Japan from December 2011 to July 2012. Registration will close at 10:00 am, Monday, December 17. Participants will be selected by a draw of lot and will be informed of the result by Tuesday, December 18. Individual supporting members of HGPI will be notified earlier. After your registration is completed, a confirmation e-mail will be sent automatically to your e-mail address. If you do not receive it, please send us an e-mail at info@hgpi.org or contact us at 03-4243-7156. Please inform us if you would like to cancel by noon on Thursday, December 20. If you cancel after this, participation fee might incur. © Health and Global Policy Institute. All rights reserved.